Ride-share company Uber is adding two more options to Dallas' modes of getting around town. 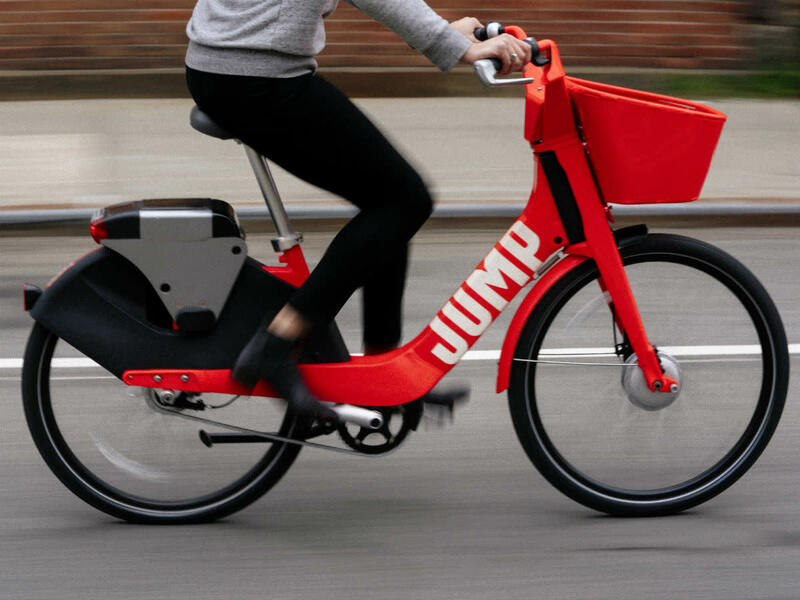 Its new service is called Jump, and it includes dockless electric bikes and scooters, which they've already dropped at locations in the city's urban core. According to a release, the expansion of Jump is part of Uber's commitment to bring together multiple modes of transportation choices, offering safe, affordable options for first- and last-mile solutions and allowing all of us to not be saddled down by cars and car insurance. Currently, we say we'll Uber somewhere. Will we now say we're going to Jump? "We are excited to roll out Jump's electric bike and scooter services in Dallas and help people move around without needing to use a car," says Vinnie Campo, general manager for Jump. "With Jump, these services are helping provide additional transportation options to reduce congestion by serving every corner of the city." A city map on their website offers a handy guide to where the gear is available. So far the northernmost outpost is on Knox Street; the rest are sprinkled through Uptown, downtown Dallas, and Deep Ellum. Just as you do when you request a car or order meal delivery, you can reserve an e-bike or e-scooter via the Uber app. To use, Users can find and unlock JUMP pedal-assist e-bikes and e-scooters within the Uber app. Via Uber: Tap the “mode switch” on the homescreen of the Uber app, and select bike or scooter. You’ll see the available JUMP bikes and scooters around you, and can select one to reserve. To introduce the service, Jump is offering free rides through February 4, for up to 15 minutes per ride and up to 5 rides per day for bikes and scooters. During the launch, they'll also pass out free helmets, available at Uber's Greenlight Hub on 1801 N. Lamar St. The giveaways will be on Mondays, Wednesdays, and Fridays from 3-6 pm, while supplies last. Jump's bikes are available in over a dozen cities in the U.S. They also have scooters available in a handful of cities. In addition to Dallas, Jump services are also launching in San Antonio, plus two cities in Arizona: Scottsdale and Mesa.